Even if you buy the best quality roofing available when you install a new roof, it will not last forever. Eventually, it will experience wear and tear from the elements and you will either have to repair it or replace it. However, there are a few obvious signs that you might soon be needing to repair or replace your roof which will give you some much needed time to save and plan for it. If you decide it is time for a completely new roof, you will want to contact a qualified roofing inspector to confirm your suspicion. There are many common signs that you might need a new roof, and it is important to know what they are so that you know what to look for and don’t experience any unwanted surprises. One important thing to keep track of is the age of your current roof. Ask yourself, is it over 15 years old? If so, it is likely reaching the end of its age limit. Remember that depending on the roofing material, 15 years might be its peak age although it’s possible to have installed 25-year shingles on your roof. If you have a metal or concrete roof, then 15 years is only a fraction of its long lifespan of 50 years. If you moved into a house that had previous owners, you could call an inspector to give you a rough estimate of your roof’s age. Knowing the age of the roof is very important when determining whether you need a new one. The next sign of needing a new roof is curling shingles. This can be the result of poor attic ventilation, improper installation, a layered roof, old age, or the shingles were not lined up accurately when they were installed. It is important that you don’t ignore curling shingles because this could also cause a leakage issue or lead to future water damage. If you notice a slight curl in one of the shingles, you may be able to caulk it before it gets worse and prolong its life for a bit. If the shingle is totally curled, that indicates a larger problem and then it is probably a good idea to look into a new roof. Missing shingles is another sign that you might need a new roof. If you notice that one or two shingles are missing, you may be able to replace them for a reasonable price. However, do not wait too long to repair because you could develop into a leak. 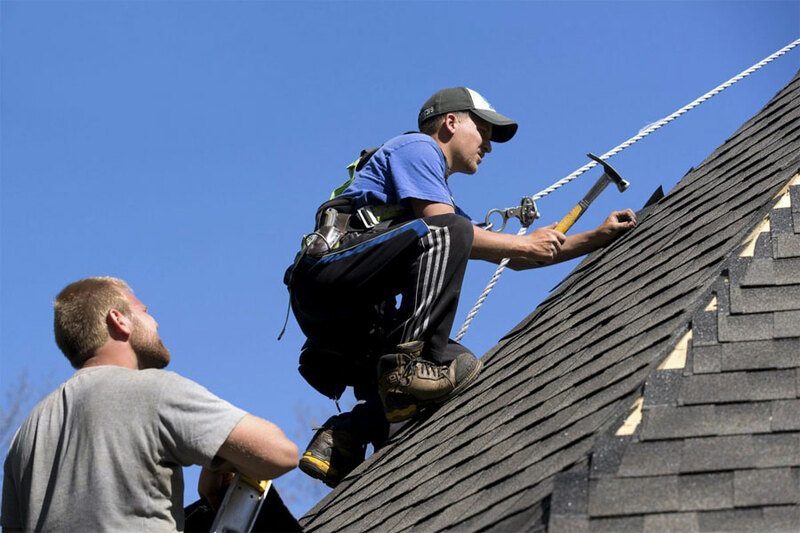 Compared to other issues, a missing shingle is not the most alarming because they can easily be replaced if it is just one or two. Shingles that are cracked are another concern. In fact, cracked shingles can cut the life of a roof by half. If you notice a cracked shingle, you can remove it and replace it, fill it with adhesive, or remove the entire roof and get a new one. It depends on how many cracked shingles there are. If there are many, then it may be wise to get a new roof instead. Flashing is a thin strip of water-resistant material; it is used to line the intersection of roofs and around doors and windows. When roof flashing leaks, it can cause a lot of damage. If the flashing is seriously corroded, then you should replace it immediately. This is something you may want a professional to do as it is an extensive job that requires know-how and skill. The next sign of needing a new roof is crooked gutters. Gutters are needed to move the water off of the roof and keep it from pooling underneath. If they are crooked, then they may not be doing their job properly. If your home’s gutters are crooked or damaged, consider replacing them sooner than later. Ultimately, any significant roof damage is generally a tell-tale sign of needing a new roof. If you experienced a recent storm and you are missing shingles, or your roof has cracked, or you can see the light through the roof boards, or the shingles are cracking, then you probably need a new roof. It ultimately depends on the extent of damage done. Call an inspector if you are unsure so that you can take care of the damage as soon as possible. Just because your roof has damage does not mean you need to replace the entire roof, but it does mean that you will need repairs to some extent. There are many important things to consider before replacing a roof. For starters, you need to take the cost into consideration. If you have a budget, find reputable roofers near you and get some estimates. The cost is determined mainly by the type of roof you have and its size. A new roof could range anywhere from one to nine thousand dollars. Slate roofs, due to their durability and price, are expensive to replace (around $800 a square). If you have asphalt shingles, then they are slightly more affordable (around $500 a square). Another thing to consider before replacing a roof is layering vs. stripping. With asphalt shingles, homeowners are allowed to have two layers. Therefore, if you only have one, then you can install one more layer. Always check with your roofing company about layering. If you are unable to layer the roof then stripping the roof completely before a new installation of shingles is another option, although it’s definitely a more extensive job. Always speak with your roofing company before beginning any job. It is important to know how much the installation of a new roof will cost and how long it will take. You will need to discuss important options with them, such as potential layering or stripping. Additionally, you should ask your roofing company how loud it will be when they commence work. Typically, you should expect to hear a lot of noise from walking on the roof, pounding, and general installation movement. 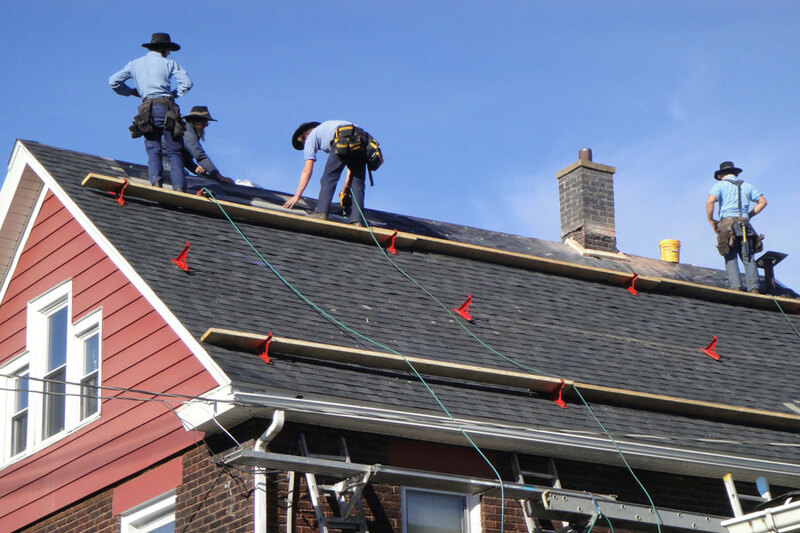 Re-roofing your home requires your roofing contractor getting a permit before work starts. Always check your city’s laws and check with your roofer to ensure he or she has obtained one. Unfortunately, not all roofing companies are reputable. Therefore, always do thorough research on all companies before selecting one to re-roof your home. Before you sign any contract, make sure your roofing contract has two types of warranties on it: the manufacturer’s and the roofing contractor’s warranty. Do not allow any work to begin until these two things are in the contract, as this will protect you and your roof. Additionally, read over any warranty and contract before signing. You may also want someone else you trust to read it too so you can ensure you are signing for something you agree with and there are no hidden surprises or anything left out. Getting a new roof is a big investment, and it needs to be done correctly. 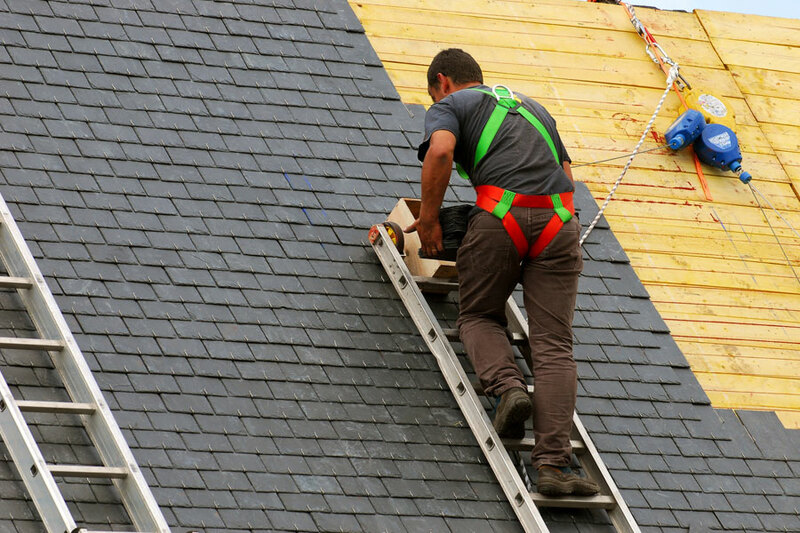 Always check with your roofing contractor to ensure you are getting the best work done on your new roof. It can be tough to make a decision on whether to replace or repair your roof. Before making this big decision, you may want to consider a few things, such as the age of the roof, your budget, its current aesthetic, and whether the shingles, slate, or asphalt are in good shape. Often times, a repair is all the roof needs, but other times a complete roof replacement is what is best for the house. The next time you find yourself in a roof-fix dilemma, check out the helpful tips below to decide whether or not you should repair or replace. To replace the roof or to repair it, that is the question. First, you should consider the age of your roof. Is it over 20 years old? Chances are if your roof has survived for two decades, it may be time for a full replacement. Typically, roofs with shingles can last up to 17 years before they need a repair or replacement. Asphalt can last up to ten years, and slate can last anywhere from 50 to 125 years! Repairing an old roof can be quite expensive, and sometimes it is worth the extra money to replace the entire roof and start fresh. It is important to consider your budget when deciding on whether to get a new roof or just repair it. It’s also important to consider the overall plans for your home such as how long you plan on living there. If you think you will be moving soon, then perhaps you want to settle for a quick repair. However, a new roof is a great selling feature and can even add value to your home. When replacing or repairing your roof, you will also want to consider curb appeal. Will repairing the roof leave it looking unattractive or slightly sloppy? If not, then repairing it might be fine. However, replacing the entire roof can leave your roof looking fresh and neat. Curb appeal is great if you are looking to sell in the future, as a new roof makes a great selling feature. Next, sagging gutters are a common occurrence due to water and debris becoming stuck over time. You can fix sagging gutters by adjusting the brackets or screws. That being said, if the gutters are in poor shape, it may be wise to replace them. Sagging gutters could eventually lead to flooding or breakage. Similarly, worn shingles are a typical occurrence because of general wear and tear over the years. Sometimes homeowners can glue cracked singles or patch any leaks, but if you are dealing with constant leaks or can see sunlight traveling through, then it may be a smart idea to replace the entire roof. Small repair jobs here and there can add up over time to the cost of getting a new roof, and they can also be tedious to keep taking care of. There are many different kinds of materials used to build roofs such as asphalt, wood (such as cedar), slate, and metal. Asphalt is a very common choice, and it has several pros and cons. The pros are that it is low cost, and it is durable, so it lasts from 15 to 50 years. There are many color choices, and even several energy efficient types. The cons are that asphalt is quite tedious to take care of because you must keep debris and moss off of your roof and it also lasts the shortest out of the many types of materials (as compared to metal or some wood). Wood and cedar roofing look beautiful on any home. The pros to using this material are its durability to sustain harsh conditions like storms, it is aesthetically pleasing, and it is very energy efficient (great for “green” living). Wood and cedar roofs look great on rustic homes and farmhouses. However, the cons are it is expensive and needs regular maintenance to make sure it is kept clean from debris. 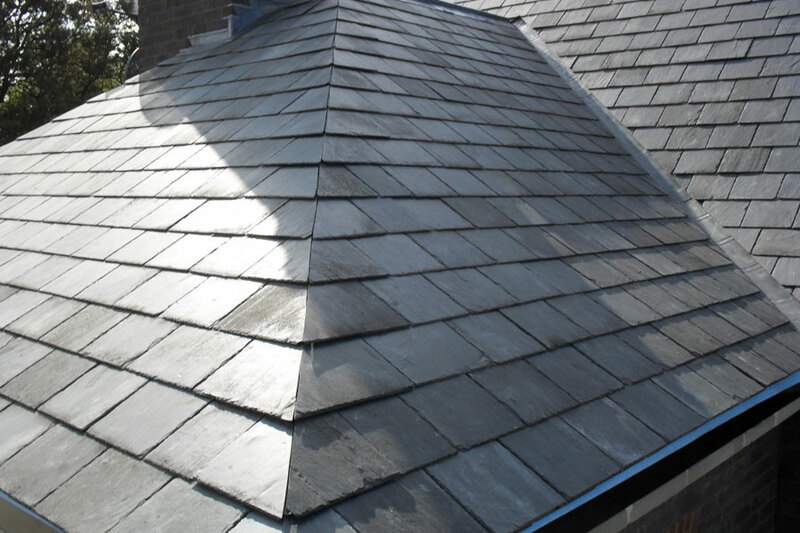 Slate roofing will last a very long time, and it is very aesthetically pleasing. In fact, slate can outlive people! It is known for having amazing longevity and offers great curb appeal. The pros are it is fire resistant, environmentally friendly, and it adds beauty to any home. The cons are it is extremely heavy, costly, and fragile (don’t walk on it!). If you decide that slate is the best fit for your home, ensure you have a structural evaluation done to make sure your home can handle the weight of the stone. Metal roofing is durable, impermeable, and will last a long time. While it has many positive aspects, it is quite expensive, and when it rains or hails, the metal roof amplifies the noise. For some individuals, this noise may be soothing. But, if you don’t like the added noise, you can also put in place structural barriers to minimize the loudness. Another drawback of metal roofing is that it dents easily; not all kinds of metal will dent but most can. Furthermore, metal roofing is not as safe during lightning. If your area of living is prone to hail storms or thunderstorms, then perhaps this is not the roofing material you should select. Deciding whether or not to replace or repair your roof is a big decision that should not be rushed. Take your time looking at the pros and cons of different materials, and always speak with your contractor before making a final decision. You should be aware of the material pricing, labor, and incidental costs, as well as how long the job will take to get done. Always take into consideration your budget and ask questions to your contractor so that there are no hidden surprises along the way. Each contractor is different when it comes to pricing and quality of work so you may have to shop around until you find one that is in your price range. Getting a new roof on your home is an important investment not only in your home’s value but in your family’s future as well. When it is time to get a new roof, be prepared to spend a bit of money. A new roof is not a cheap investment, but it is a very important investment that will keep you and your family safe, dry, and protected. There are many things to consider when calculating how much money you will need to spend to replace your roof as well as how to hire a good contractor. Always be sure to conduct thorough research so that you can find someone who will get the job done for you efficiently and accurately. Figuring out the cost of a new roof depends mainly on one thing: what kind of roof you have. Typically, costs are determined per square foot, and the higher-quality material your roof is made of, the more expensive replacement will be. However, keep in mind that not all contractors charge the same price; you may find a contractor who is extremely affordable and one who is not. 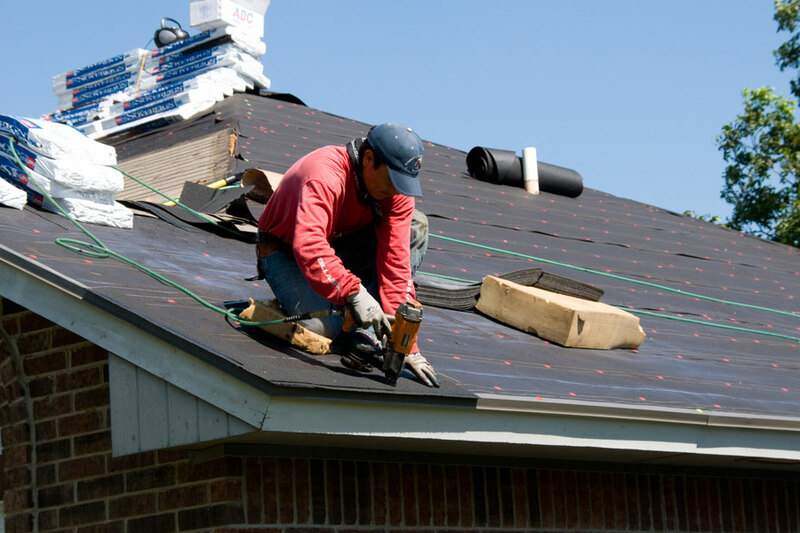 You should expect to pay between $3.00 to $5.00 per square foot of roofing material, but you will also have to take into consideration the pitch and slope. Your final bill will probably end up being 40% materials and 60% labor. If you are still unsure of the labor and cost, ask your contractor. Hopefully, they will break down the bill for you into square feet, labor cost, and materials cost. The size of your roof is the next determining factor in how much it will cost to replace your roof. Roofs are measured in square feet, and usually, 100 square feet equals what is referred to as ‘one square.’ Roughly, the average single-family home is 3,000 square feet. You can estimate your roof size before you call a professional so you can get an idea of how much it’ll cost. Certain contractors over or underestimate how much material they need to replace the roof, so always consider waste. Not only should you take into consideration the size of your roof, but also how much it will cost to tear off the existing roof (yes, there is a charge). You can expect to pay a minimum of $1000 for tear off. Depending on whether you have asphalt, clay tiles, metal, or slate, the price for re-roofing differs. Asphalt is the most affordable so it should cost less than other materials. Slate is one of the most expensive materials and clay tile is slightly less expensive than slate. Metal can also be affordable too, depending on how much square feet you will need to cover. The area you reside in plays a huge role in determining what kind of roof is best for your home. If you live on the coast with a lot of salt water in the air, and the wind blowing around, you will need to choose a durable roof made of steel shingles or clay tile. If you are lucky enough to live in a relatively warm area, then clay tiles may be a great option for you. Areas that get hid hard with storms should probably not roof their houses with asphalt shingles, which can fly off very easily. You’ll also want to be sure the style of the roofing you choose matches the landscape design of your yard. Again, the removal of your old roof will cost you a fee, but that fee all depends on the contractor. Most often, you should expect to pay around $1,000 for tear-off. Another fee added to the cost of your new roof will be from the pitch of the roof. If you have a two-story house, then the ‘pitch fee’ will be slightly more than if you have a one-story house. Usually, two-story houses have more of a steep angle so the pitch of the roof will incur a heftier cost. When you have your roof replaced, there are several obstacles that can make the task difficult. For example, plumbing pipes, skylights, windows, and chimneys are all things to take into consideration. Your contractor is specifically trained to work around these obstacles, but nevertheless, it may take extra time to get the job done properly. The more obstacles you have on your roof, the trickier it will be to pattern your roof. Your contractor will have to ensure that proper flashing is applied around chimneys, skylights, and windows on the roof. Before having your roof-replacement started, always ask about additional costs. Your contractor may be able to let you know where additional costs may arise. Because of unforeseen add-ons, always have a few extra hundred dollars set aside in case you incur some of these costs along the way. Always do your research when finding a good roofing contractor. Unfortunately, in this trade, there can be a lot of people who do not do professional work. Because of this, ask your friends, family, and co-workers if they have any good contractor recommendations. 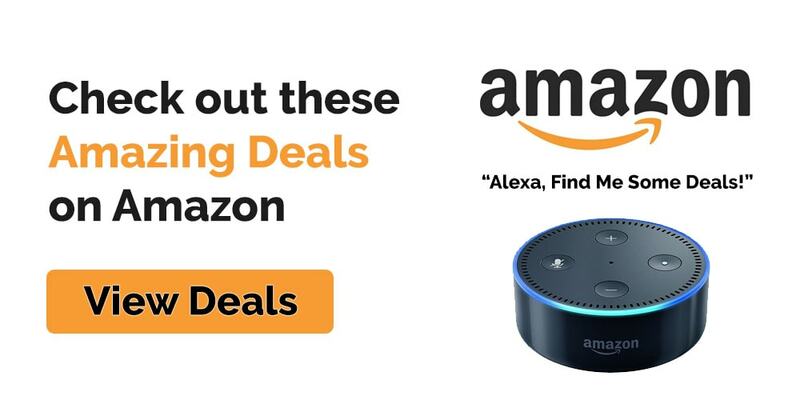 And, if they don’t, you can look online and ask each company detailed questions about their work as you let them know what you want to be done. If possible, it is best to talk in person with your contractor before they arrive and start installing your roof. Never be afraid to communicate your needs with your contractor. They are there to work for you, and you must be satisfied with the result. If you are unhappy with how your roof looks, or you are wondering why they are doing something, speak up! Your contractor should be happy to answer any questions you have. After all, you are paying them to do a quality job. One last, but important, point is to get everything in writing. Verbal agreements are ok, but if there was ever an issue, getting it in writing is legally binding. Also, be sure to thoroughly read any contract before signing it. Hiring a roofing contractor does not have to be a difficult or confusing experience. In fact, if you do your research thoroughly and ask many questions, it should be an enjoyable experience. In the end, you will have a beautiful new roof to keep your family safe for years to come. There are few things more important in your house than having a safe and solid roof. As a homeowner, you will need to know the general health of your roof is for many safety reasons, not to mention knowing how long it will last before needing to replace it. Different roofing materials offer different life expectancies for your house roof. Knowing which type of materials to use on your roof is half the battle of making sure you have a roof that will last through its expected lifetime. Here are some typical roofing materials and what you can expect from them as far as longevity is concerned. Slate is a type of stone that can be split into thin sheets. Slate tiles are applied to roofs similarly to how regular asphalt shingles are applied. Slate is a high-quality roofing material that can last for at least a century—something that’s virtually unheard of in today’s industry standards. It’s also fire-resistant and environmentally friendly. One thing to note about slate is that you need to make sure your structure can handle the weight of slate before installation. 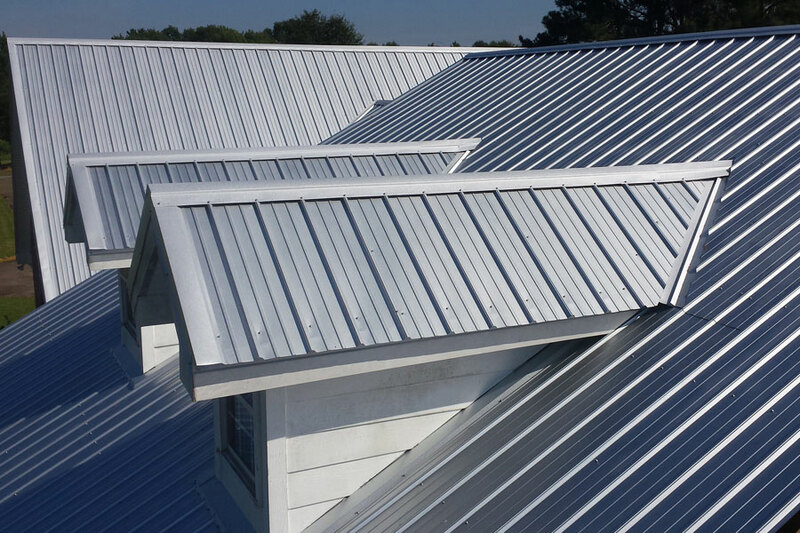 Metal roofing is a comprehensive term for a category of materials including aluminum, tin, steel, copper, zinc, and more. Each material and system will have its own pros and cons, some being rust-resistant and others having extremely long-life expectancies. Metal roofs have been around for a long time, and they’ve withstood the test of time. While many installers provide at least 50 years in warranty, metal roofs can easily last for 100 years. Metal roofs are recommended for all types of weather other than for snow, as snow and ice can easily slide off metal and become a hazard to anyone below. 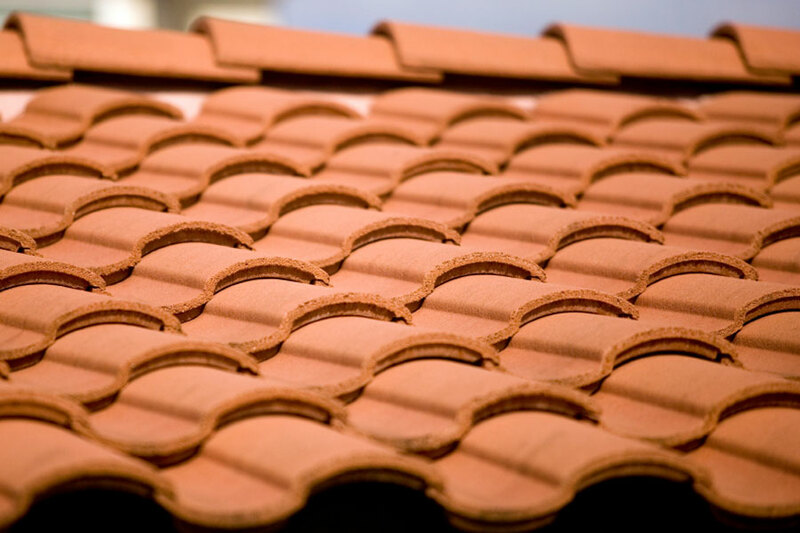 Tile roofs generally refer to terracotta tiles, but they can also be made from concrete or other composite materials. They are installed in an overlapping pattern and come in different shapes. Depending on what they’re made of, tiles can last anywhere from 40 to 100 years. Spanish tiles are known to last for over 100 years while modern clay tiles have a lifetime of about 40 years. Cracked tiles are usually the result of natural exposure to elements as well intense weather conditions. 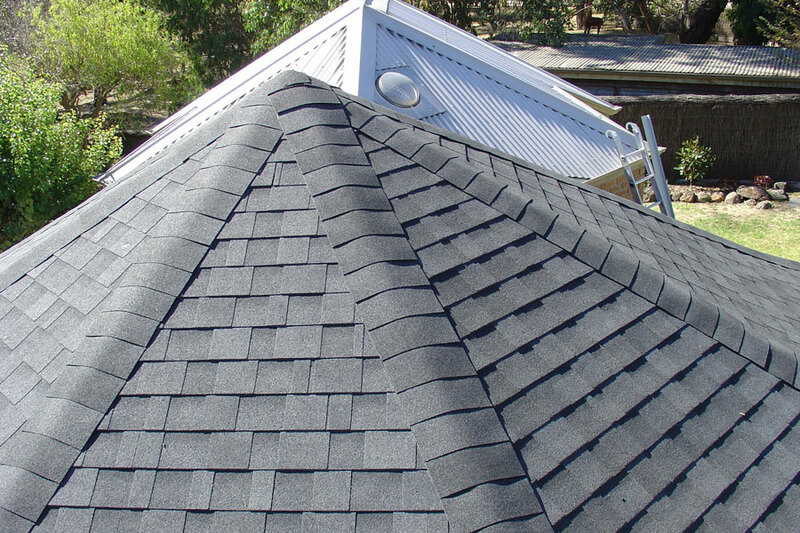 Asphalt shingles are one of the most common types of house roof in North America. They are sturdy and inexpensive at the same time. They’re easy to install and provide ample waterproofing. Asphalt shingles are not as susceptible to damage compared to wood and have an average lifespan of 12 to 20 years. Their expected lifespan can be shorter or longer depending on the manufacturer. 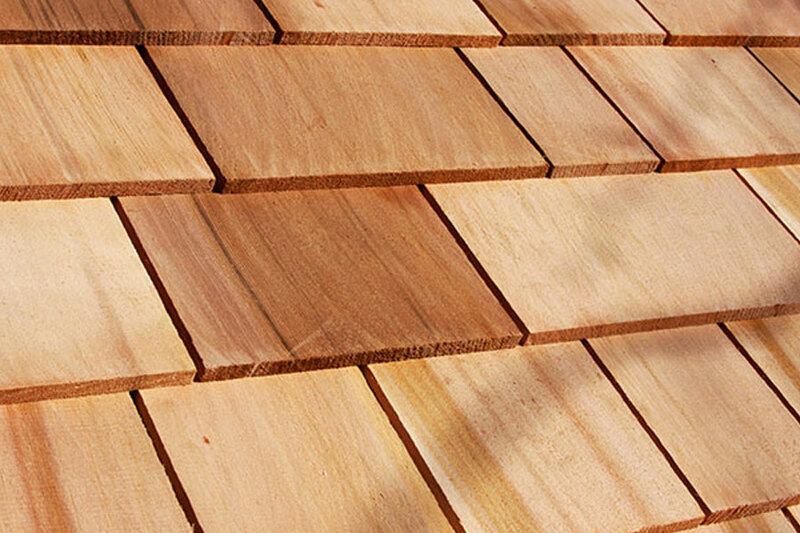 Wood shingles are an inexpensive option for a house roof because of easy installation. However, wood is most susceptible to damage from the elements and from fire. This style of roofing was more prevalent before the 50s and have an expectancy of anywhere from 20 to 40 years. Pressure-treating the wood can minimize damage from exposure to the elements and extend a wood roof’s lifespan a little longer. Should I Layer or Remove and Replace My Roof? If you feel as if it’s time for your roof to get an update, you have a couple of options. You can either layer on your shingles or completely remove and replace your entire roof. Your decision should be based upon a few factors, some of which are discussed here. The roof deck is the part of the roof that hardly gets noticed, but it’s what keeps everything below the roofing material dry. The condition of the roof deck will ultimately determine whether you can keep your existing roof or not because you’ll have to get underneath the roof to figure out how bad the roof deck is. Years of neglect can easily be reflected on an average roof deck. If a professional roofer has assessed the roof deck, and it needs to be replaced, you’ll have to completely remove and replace your roof. If the roof deck is still intact, you can add a second layer on your roof as desired. The choice to either layer or replace your roof will largely depend on what type of roof you currently have. It’s clear that some roofing types are easier to install than others. You can easily layer on another set of asphalt or wood shingles, but it is nearly impossible to layer clay tiles on top of clay tiles. It would be illogical to add a layer of tiles on top of cracked ones. The best thing to do in that case would be to remove and replace only the broken tiles. It’s also the best way to upkeep terracotta roofing. Different roofing types will have varying maintenance requirements. You should consult a roofer near you to determine the best option for your roof type. Your local climate will play a large factor in your decision on what type of roof to put on your house. Some roofing types fare better in certain weather conditions than others. For example, having an asphalt roof is a budget-friendly solution to keeping your home cool in a typically warm location. Asphalt reflects sunlight better than other materials can. The humidity in tropical climates promotes the growth of algae, something that you wouldn’t want as a homeowner. Metal roofs are great options for tropical climates since most of them are algae-proof. Regardless, make sure to consider your local climate first before deciding on roof replacements. Nothing else will test the true endurance of your roof other than piles upon piles of heavy snow. Some roofing types will handle snow load better than others, but they all have their pros and cons. When deciding whether to layer on or completely replace shingles, consider a typical snowfall in your area. Asphalt and wood shingles handle snow fairly well and can be layered on as needed. Slate roofing will provide better protection for your home altogether during harsh winters, but slate will have to be completely removed and replaced when the time comes to replace it. Consider the typical snowfall load your roof has endured in the past before you decide whether layering is the next best step, or if a full replacement is called for. The roof above your head is important. It keeps you and your family safe, dry, and secure. Roofs do not last forever but depending on the material your roof is made out of, it could last up to thirty years. 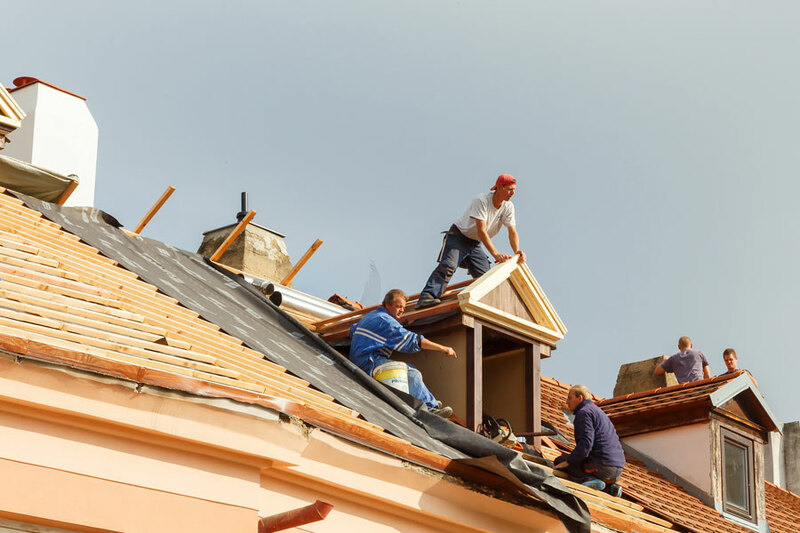 If your roof needs some repairs or to be completely replaced, there are certain jobs that are better for a professional to take care of, and some that are an easy DIY fix. Remember, never put your safety in danger when deciding to work on your own roof repairs. Sometimes it is better to pay the extra money and have an experienced roofer take the job off your hands. Roofing is no easy task. In fact, it can be a very dangerous job if appropriate safety measures are not put in place. While it is nice to do the job yourself, it is also important that you don’t jeopardize your safety. You can get it done whenever you want. There are usually no time constraints when you DIY unless you are a very busy person! Doing roof repairs yourself allows you to get the job done when you need it. Some roofing companies may not be able to tend to your job for several weeks or months. It is simply a great experience! You have to do the dirty work. No matter how small the job, you still have to get your hands dirty. If you don’t mind this and aren’t afraid of heights, then go for it. but sometimes it is nice to sit back and watch a professional do the job for you. Roofing can be very dangerous, so it is important to take extra precautions when working on your roof or using special equipment. If you create a bigger problem while trying to DIY, your work is not covered under warranty. Roofing companies will usually provide the homeowner with a warranty in case something goes wrong, or if they need to re-fix part of the roof. If you do it yourself, you are responsible for any problems. 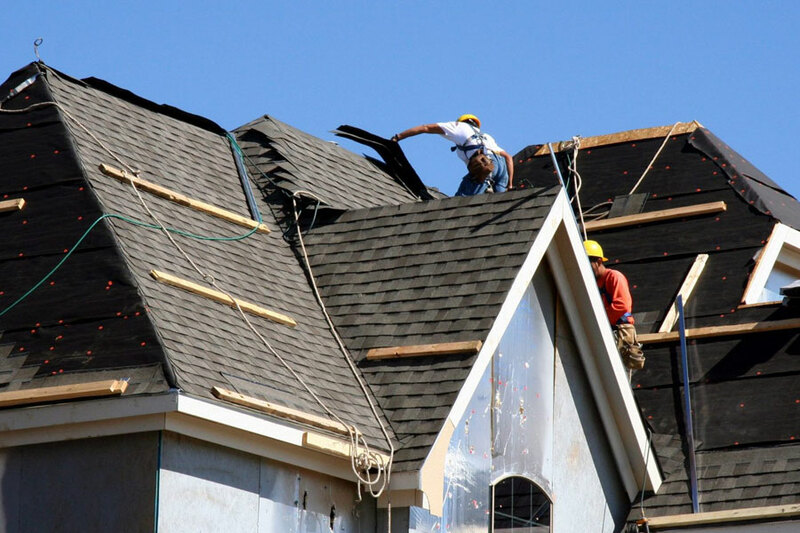 The professional roofing company will bring a lot of knowledge and experience to the job. In fact, more knowledge than you could ever gain from watching a quick online tutorial or phoning a friend. 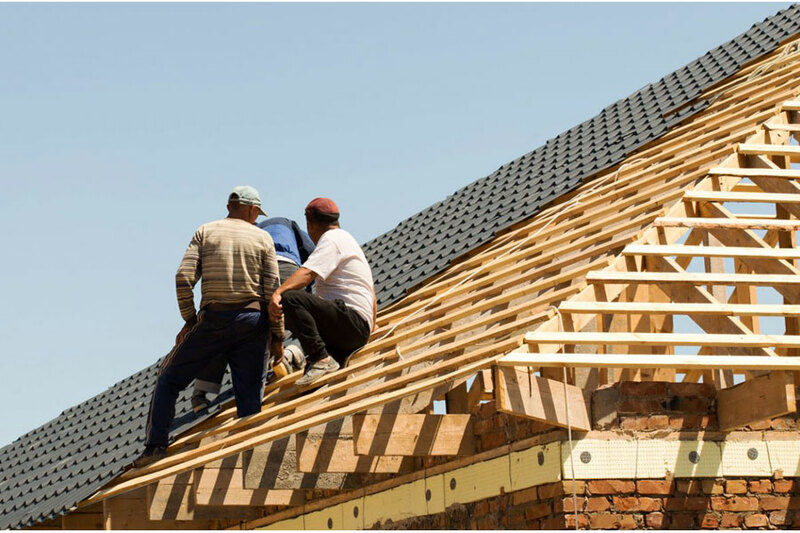 The experienced roofer can answer any of your questions along the way and make sure the roof is repaired perfectly. They can get the job done quickly! Sure, you can take a few weekends to repair your roof, but wouldn’t you rather spend time with your family or friends? 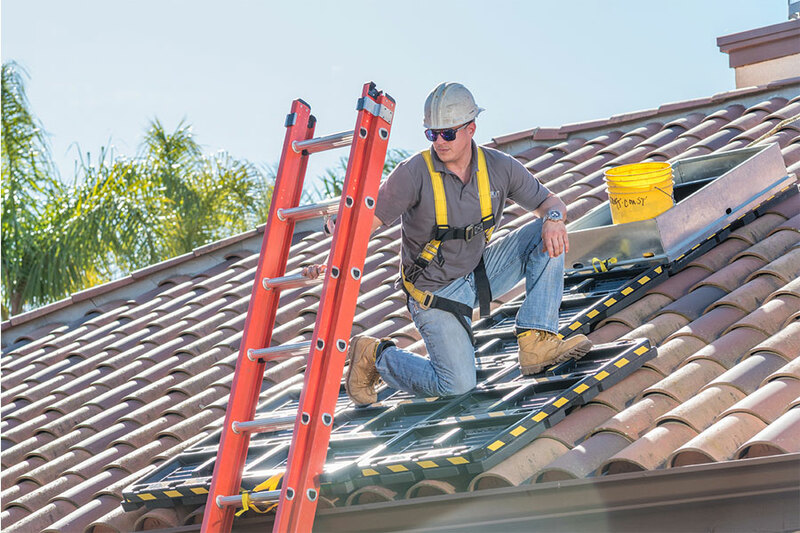 Hiring a professional to repair your roof means you can sit back while the work gets done. It is a lot safer to have a professional fix your roof than yourself. No matter how cautious you are, accidents can happen! And, they happen more often to amateurs than professionals. Professional roofers have taken many safety courses and know from experience how to properly work on roofs. It is not worth risking your own health and safety when a roofer can do it for you. Some roofing companies may not be as ethical as others so the work they do may not be as great. Be careful that you do your research and choose a roofing company with great reviews and morals. Although there are many pros and cons to both sides, hiring a professional ensures that the homeowner stays out of danger. DIY projects are great, but roofing should really be left to the professionals (at least the major jobs!). It is important to consistently inspect your roof so that you can catch any wear and tear before it becomes too big or too expensive. Try to inspect your roof as much as possible, and if you notice anything that does not look right, contact a professional roofing company right away or do it yourself if you are comfortable enough. 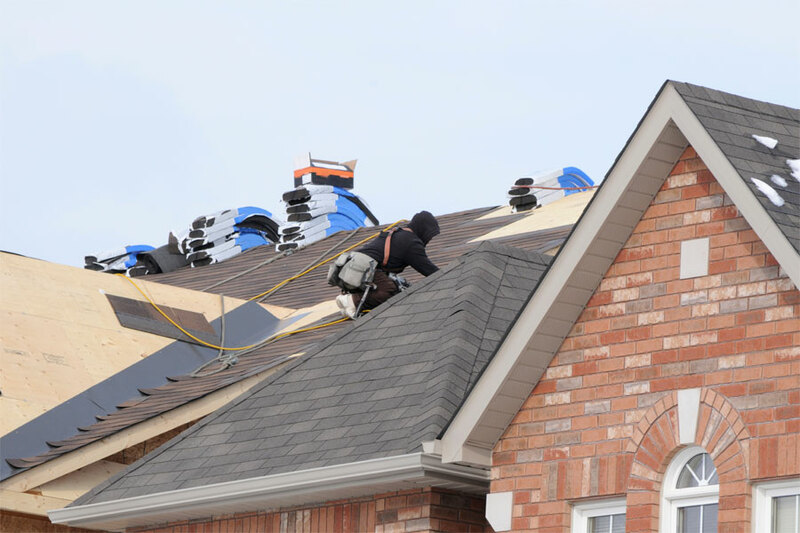 Professional roofers can easily be found by doing a quick search of ‘roofers near me.’ And, most will come and give a free estimate. Periodically inspecting your roof means assessing any leaks, checking for wear and tear, checking for mold, and checking for any cracks. It is especially a good idea to check your roof after any storms or windy weather, as trees and falling debris can damage your roof. Always keep your roof as clean as possible. Remove and clean up any loose debris that can create a bigger problem or mess on your roof. You should also keep your eye open for any mold and moss growing on your roof. You can combat this by frequently power washing or hosing down your roof. Professional roofers keep their eyes out for any debris, moss, or mold, so make sure that you ask them to let you know if they see any, if you decide to call a professional. Removing moss and mold from a roof is an important part of maintaining it. Professional roofers have a variety of tools to remove it, such as with soft washing or specialized processes. Gutters, downspouts, soffits, and fascia, if well maintained, can last up to twenty years. When water builds up in any one of these things, it can cause damage to your roof and siding. Cleaning gutters, downspouts, soffits, and fascia should really be cleaned by a professional because of several factors. For instance, if you do it incorrectly, you can damage your home, working on a ladder by yourself is quite dangerous, and critters and mold can pose great health risks. That being said, if you wish to clean your gutters, downspouts, soffits, and fascia by yourself, then ensure you are taking the necessary precautions, such as having a friend or family member assist you or being extra careful when using cleaning tools. Sealing skylights and chimney openings is another big task that can be a DIY project or done by a professional. For chimney openings, you can wrap them in rubber membrane to seal it, and this is an inexpensive fix. If you hire a professional to do the job, then they may be able to find a better option for you and make it look aesthetically pleasing from the outside. When sealing skylights, it is important to make sure that there are no leaks. While you can seal skylights and chimney openings yourself, it is probably best to leave it to the professional because this can be quite a dangerous and tedious task for the regular homeowner.